What is a dual-axis solar tracker? The dominance of single-axis trackers in the large utility-scale solar market sometimes steals the limelight from its dual-axis cousins. But dual-axis trackers—those that follow the sun more directly than single-axis models’ east-west path—have their place in residential and commercial markets. 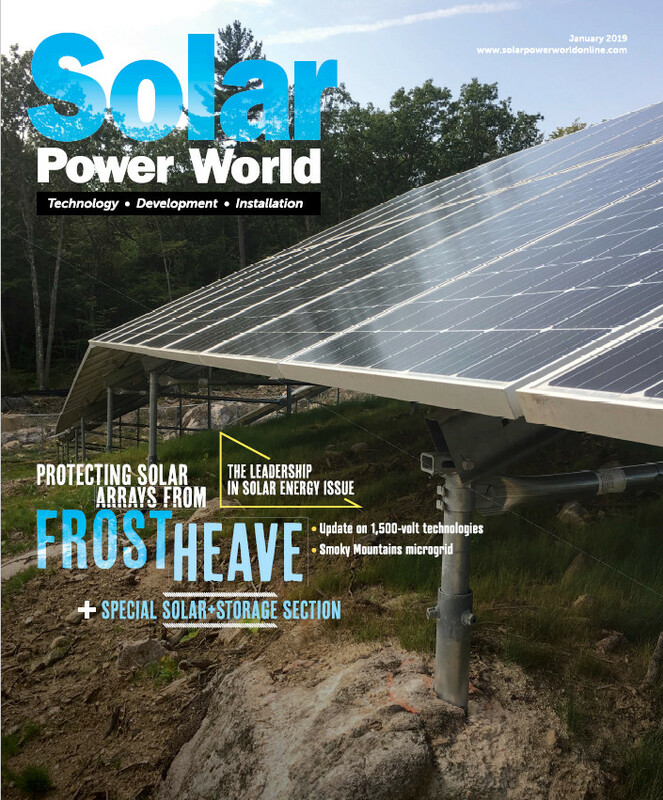 We caught up with Vermont’s AllEarth Renewables to learn more about dual-axis solar trackers and what makes them a great choice. AllEarth manufactures three (soon to be four) dual-axis models, each holding a table of 20 to 24 solar panels at a height of about 11 ft above the ground when flat. With an authorized dealer in almost every state, AllEarth solar trackers are available across the country. Single-axis trackers follow the sun across a horizontal plane, but dual-axis trackers move in a more direct, circular path. Since the panels are always directly facing the sun, AllEarth estimates that its dual-axis trackers produce 45% more energy than a fixed-roof system and up to 30% more than a fixed-ground-mount system. Residential customers turn to dual-axis trackers often because they have the land-space available and want to maximize their output. Commercial customers often have the same reasoning for wanting a dual-axis tracker but with a green twist. As with a lot of solar developments, dual-axis trackers evolved from Europe. Dual-axis trackers obviously win the game when it comes to smaller arrays. Single-axis trackers only work if there’s enough land for a long span of panels. But dual-axis arrays can work just as well on larger projects as single-axis models—material costs are similar but dual-axis trackers produce more power since the sun is being followed more accurately. And with only one pole to work into the ground and a stow-level height at 11 ft, the land associated with dual-axis projects can continue to be used for agriculture, and vegetation management is much easier. Movement across two axes doesn’t automatically mean twice the amount of maintenance. To stay on top of this niche market, the AllEarth team is constantly working on ways to improve cost, reliability and monitoring with its dual-axis trackers. AllEarth’s new Gen 4 model (out in 2018) will be self-powered, drawing energy directly from its panels so it will work even if the grid is down. The new tracker will also be Wi-Fi, cellular and SD card-enabled, expanding its communication options. I made a simple and small dual axis solar tracker. here is the link below. Very good. Put figures on it!